Is there unnecessary or peripheral drama in your life? This kind of drama can fly under the radar because it is not necessarily drama directed AT you and yet it can be detrimental to your health and quality of life, just the same. 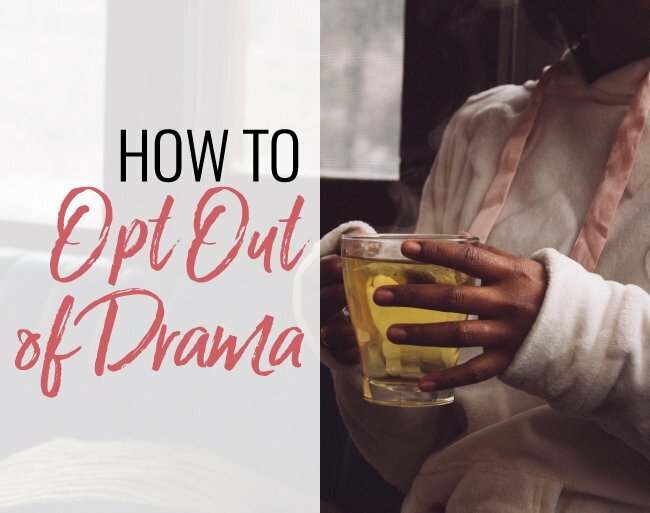 This week I’m giving you my best strategies to opt out of drama and to identify the people in your life that may be stressing you out with their dysfunctional behaviors, negativity or toxicity. I’ve put together some common drama personality archetypes to help you clearly identify the different ways that others (and maybe even you) might be provoking unhealthy drama in your life. In the video below, I guide you through these drama archetypes and provide my best tips and scripts to OPT OUT! (thank you, next 😉 ) This is all about creating clarity so you can mindfully choose experiences (and people) that enhance and enrich your life. If you’re on drama overload, it’s time to take a closer look at the people who populate your life. We have all different types of relationships, and in my twenty-two years as a psychotherapist, I’ve found that problematic people generally fall into specific categories of relatedness. No matter what story they’re telling, it tends to be about how they’re being wronged by someone else. If their boss wasn’t a jerk or their best friend hadn’t betrayed them, they claim they would not be in their current predicament. They don’t take responsibility for their own life, happiness or for creating solutions. Their main focus is on blaming others. If you have a tendency to want to fix and save others it can be challenging to opt out of this drama. The reality is, unless this person decides to change themselves, they will most likely stay in the victim position. You can’t save them because we are each responsible for ourselves. This person is interested in being right. They perceive conversations as debates where there are winners and losers instead of as dialogues, where there is a mutual desire to understand each other’s point of view. If you’re interested in healthy dialogue, The Debater can be extremely draining, and ultimately, it can block any real intimacy between you. You can choose to opt out of the debate dance. If someone tries to draw me into it, I literally just say: “You know what, you might be right.” And move right along. Gossiping is a particular way of relating to people that is often a learned behavior from our family of origin in childhood. The Gossip Girl (or Guy) can be very seductive because when the two of you are interacting, it can feel like you’re making a real connection. Remember: feelings aren’t always facts so don’t be surprised to hear that the gossip is taking you down when you’re not around. Let Eleanor Roosevelt’s famous quote, “Great minds discuss ideas; average minds discuss events; small minds discuss people,” inspire you to opt out of this toxic behavior. As my dearly departed mentor, David Simon would say, this person is constantly “Yum-Yucking” everything in life. Their identity and their judgments have become fused. This person always gives unasked for advice and criticism under the guise of “just being honest.” They might be using their judgments as a way of feeling superior and as a way of identifying who they are. Endlessly feeling like you need to defend your choices or convince a Judge Judy type that what you are doing is OK is exhausting. Opt out by drawing boundaries. Um, NO, they don’t have to tell you! This is the person who just can’t stop focusing on what’s wrong– not just in her own life, but in the world at large. They are often super dialed into the negative things happening in politics, their community, their family or your shared social circle. They are obsessed with bad news and they want to tell you all about it. Why are you dying to tell me the most painful, awful thing you heard or read about today? Misery loves company. Perhaps deep down they are unhappy or drawn to depressing things as a distraction from their own lives. That said, having that element in your life regularly is really bad for your health. Understand that you always have a choice. Your life and your time are precious. You don’t have to give them away to every person who feels entitled. Learn to discern who to allow into your VIP section. Who you spend your time with is your call regardless of what the other person wants. Will that person be pissed? Maybe. But protecting your own mental health and psychological experience needs to take priority. You are in control of both your physical and psychological boundaries…so if you need to physically move away from someone who’s gossiping or even cut a coffee date short because they won’t stop after you’ve asked them, give yourself permission to do so. Setting boundaries around drama require speaking up, speaking out, and making conscious, clear choices to protect yourself and your inner peace. I want to invite you to really take that inventory of these archetypes and I would love to hear what your experience has been with this, so leave me a comment here and let me know! You have to make a decision to be the director in your life and not just a bit player. We can’t just be the little boat and have everything else sort of be the tsunami that’s just pushing us around! There are so many things you can do, so make sure to download the cheat sheet I created for you right here, and I so hope that you implement some of these suggestions because you know what? Life is dramatic enough! We don’t need people manufacturing or exacerbating the drama that already exists in simply being a human being. I hope that you liked this episode and found it helpful. If so, please share it with the people in your world. I hope this inspires you to choose you, to opt out of the drama, and to draw appropriate boundaries in your precious, one-of-a-kind life. One more thing! My live Q&A Youtube show is starting this month!!!! You’ll have the chance to ask me questions and get them answered live, and I honestly couldn’t be more excited. So make sure if you haven’t already, hop on over to my channel right here and subscribe so that you don’t miss the big debut later this month! 190 What is the Mother Wound? What is the Mother Wound? 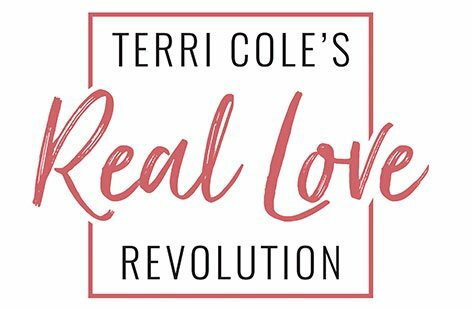 © 2018 Terri Cole. All rights reserved.